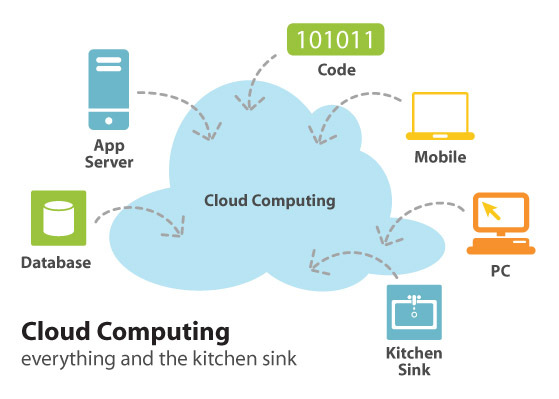 Cloud computing is an Internet-based computing where data and software all are stored on the Web and users use applications as a web service. You can also run virtual applications and operating system within the browser with cloud computing. Thus you can use these apps from anywhere in the world without any worry. It makes office work easy and every data you need will go with you. You can also run cloud operating system on your system for free just by using these web services. These are some Cloud Operating system which you can try for free of cost. ZeroPC offers 1 GB free storage that is enough for most of the work. It is also available for Android, iPhone, and iPad. ZeroPC allows users to connect to all popular cloud storage services including Box, DropBox, Google Drive, SkyDrive, SugarSync, and 4Shared. It also comes with many inbuilt tools to make your work easier. ZeroPC aims to turn your web browser into a desktop. Jolicloud offers free Joli OS free of cost. You can also install it on your system. With its cloud experience, we can use our favorite apps anytime anywhere from the world. Jolicloud has the support of more than 15,000 web apps that can do any of our work easily. SilveOS is also a nice cloud operating system built on SilverLight. If you have installed Silverlight, you can also run it on any browser. SilveOS also comes with many inbuilt apps which let users write, listen to music, make notes, and even play Solitaire. You can also download and install more apps from the web. The only bad thing about this OS is that it does not support storage. So you can not use it for a long-term work. Cloudo is another nice cloud-based operating system that runs on a web browser. It is currently in beta stage. It is also packed with apps like Mail, Calendar, Audio Player, RSS reader, Contact manager, Word processor, Notepad, Command Line Interpreter, Finder (to search files) etc. Users interface of the OS is also very nice which makes it easy to use. It also comes with a built-in application manager that lets users install more app in the Cloud. XOS is a simple cloud-based operating system that comes with so many nice apps for the personal use. It offers Web browser, File manager, Text editor, Notes, Calendar, Paint, Email client, and Canvas Rider (a bicycle game) among others. It is good for general purpose and easy to handle. There are many other nice cloud-based operating system that offers nice apps. But these are 5 enough for your usage. You must give these cloud operating system a try and then select the suitable for you. Let us know your experience with us.